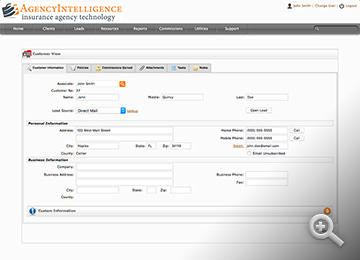 AgencyIntelligence implements practices, technologies and strategies with seamless integration for customer management with its CRM. Your agents can manage their policies and have the further advantage of cross selling to their clients. By having the ability to cross-sell, your agents will achieve the maximum policy output for your agency. 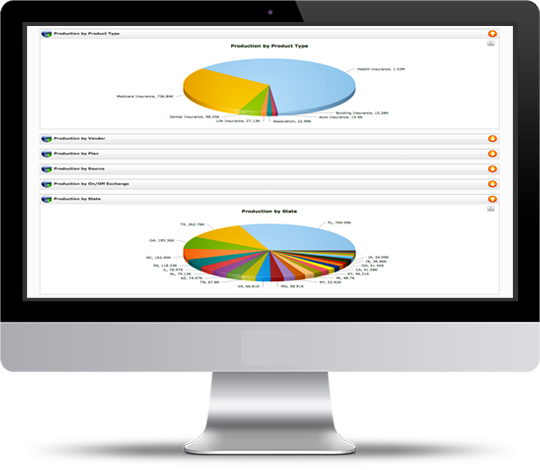 With AgencyIntelligence's client tracking and client revenue tracking, your agents will have all of the information they need pertaining to their clients. From having the basics such as their name, birthdate, addresses, income etc. to also knowing past policies, future needs and the ability to have a rescheduling tool to best accommodate the clients time. This assists in developing business liaisons, boosting customer retention and boosting sales growth. The renewal alerts assure that the customers never gets lost between the cracks and their customers will never experience the down time of being uninsured and vulnerable. 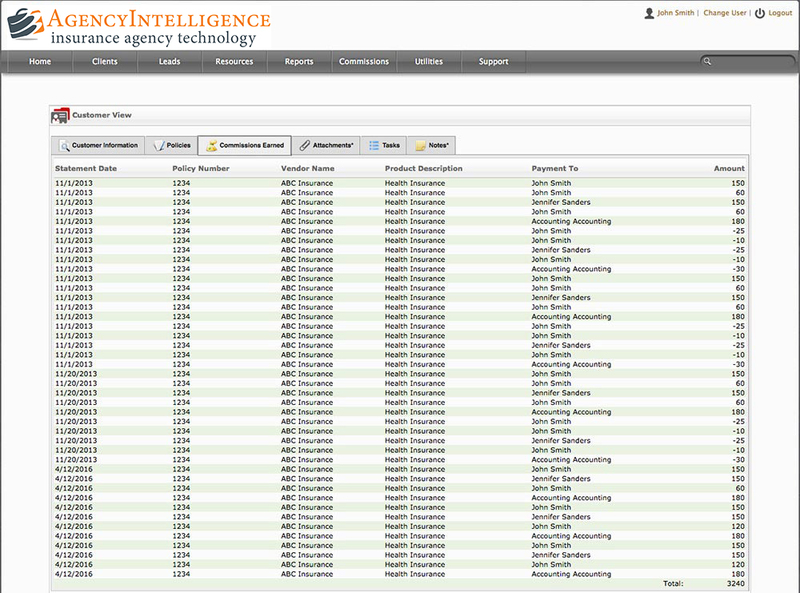 One of the most phenomenal aspects of AgencyIntelligence is its historical tracking. 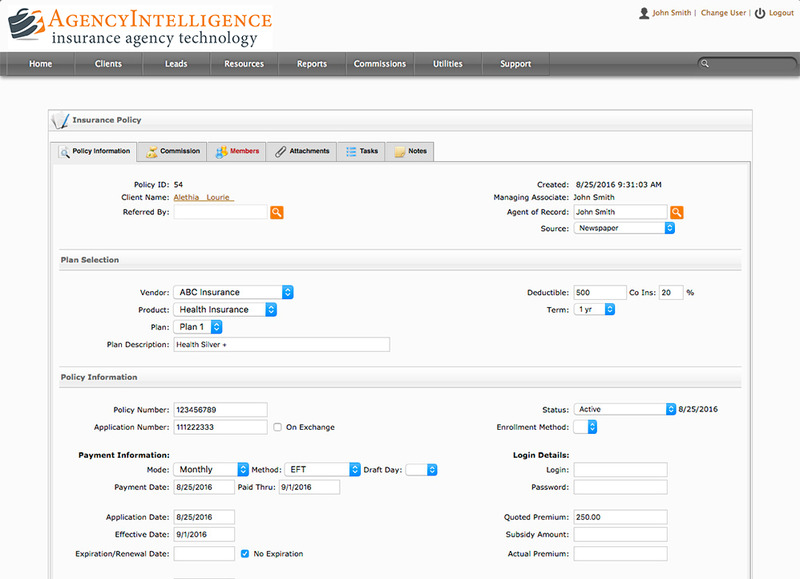 With this tracking, the agent is able to keep a history of client interactions. Not only do your agents have the ability to add notes to keep client information up to date, but they have the ability to add personal attributes like,: How many children they have, what is their pets names, and personal conversations and more. With historical tracking your agents are able to develop a personal relationship, thereby cementing future sales interactions, and increasing customer satisfaction and their bottom line. 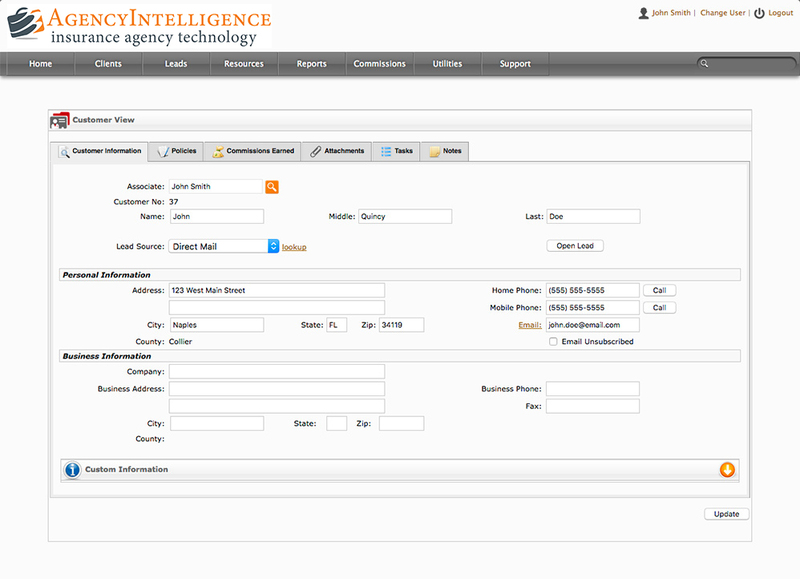 AgencyIntelligence helps your agents control your customer information, new prospects and sales opportunities all in one locale. Its the ultimate tool for customer retention and new lead prospects.